Spells, potions, and grand magical adventures. Discover your next anime obsession on our list of the best magic anime of all time. 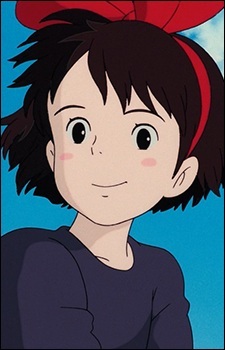 Hayao Miyazaki, one of the most famous directors in the world, has produced many extraordinary works such as Spirited Away and Howl's Moving Castle. Take a look at our countdown of Studio Ghibli films directed by Hayao Miyazaki based on MAL user ratings! No matter whether you are a newbie when it comes to the magical girl genre, or a veteran, these are fifteen of the biggest must-see magical girl anime! Sometimes anime lands some big names to star in its English dubs. From Patrick Stewart to Bryan Cranston: these are the big name actors who make an appearance in anime… or at least, their voices do. Top 15 Best Flying Anime: Take to the Skies! Fans around the world love anime for tons of different reasons. One in particular is that it allows them to experience things that exceed their own reality. If characters can fly, so can we... right? Get ready to take to the skies and expose 15 shows that will make your imagination soar! Home is where the heart is, but sometimes, people need more than just love. Ever fantasized about living in your anime dream house? Come check out this collection of 15 magnificent anime houses, each unique in their own way. Some are beautiful and cozy, while others have more extravagant forms! Love anime characters and want to up your fashion game? Here's how to dress like your favorite characters (but not look like you're cosplaying)! Note: These outfits are made for girls, but that shouldn't stop any guys that want some fashion inspiration themselves! While Kiki may be the main star of Majo no Takkyuubin (Kiki's Delivery Service), her black cat Jiji also plays an important part in the story. Learn more about how Jiji interacts with Kiki and the role that he plays in the film! Kiki's Delivery Service is on the surface, a sweet and gentle coming-of-age story. While that is true, there's still more to it. These quotes illuminate the themes of inspiration, motivation, true friendship, and what to do when it starts to feel like life is stealing your essence from you.